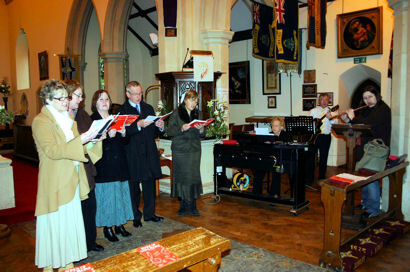 A group of singers and musicians lead the musical worship at Christ Church during the 10am All-age service on the 2nd Sunday of each month. Using a variety of instruments including piano, guitar, flute and clarinet, the music group sing from a broad repertoire incorporating more modern songs and choruses, traditional pieces and taize chants. As well as participating in these All-age Services, the Music Group has a role alongside the choir at the major Christian festivals and church events. The group is less structured than a formal choir to allow for those who cannot make a weekly commitment, but still wish to participate in making music at Christ Church.